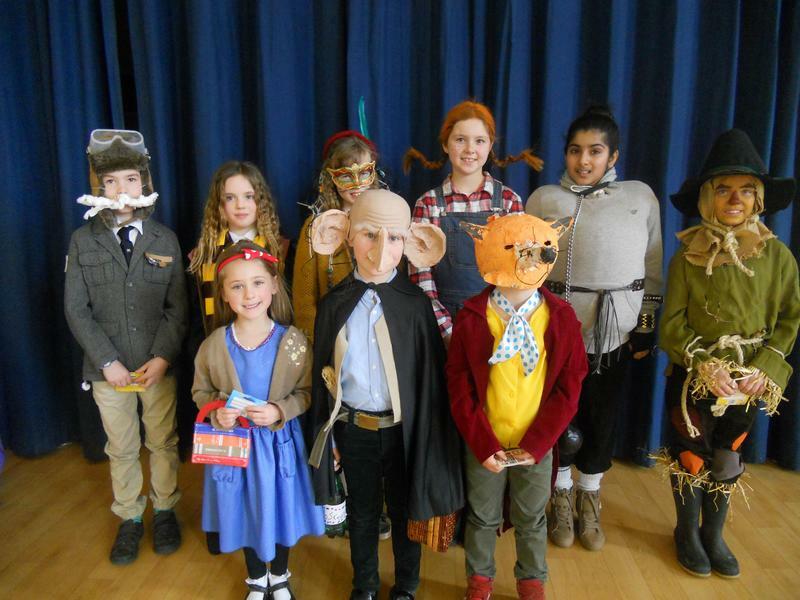 In celebration of World Book Day, the children (and staff) all dressed as their favourite book characters. Prizes for the best costume in each class were provided by Book-O-Club. Our judges, Red Riding Hood ( Mrs Gulliver) and Dorothy (Mrs Killick) had a difficult time in choosing the winners, as there were so many amazing costumes. Our winners, Isla, Xander, Katiyana, Fable, Ossian, Emma. Mariah, Beth, Ellen, can be seen below. The book sale, in aid of Save the Children, took place throughout the day with each class being given an opportunity to buy books donated by other pupils. A total of £132.91 was raised by the sale. Thank you to everyone who participated.